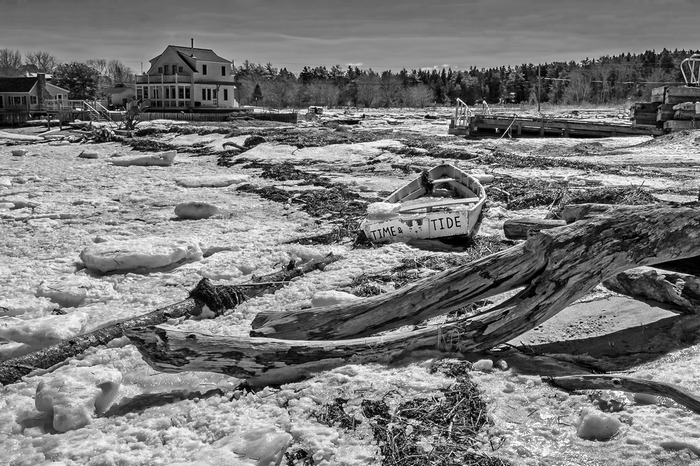 Coastal Vision: A Juried Show of Maritime Sightings by Members of the First Light Camera Club is the theme of the Club's first exhibition of 2016 at the Maine Maritime Museum, 243 Washington Street in Bath. The show opens January 8 and runs until March 13. Maine Maritime Museum is open daily from 9:30 a.m.-5 p.m., and fees to attend range from “free” for MMM members and children under 6 to $15 for adults. Photographs by fifteen of the Club’s photographers will be exhibited in the show. Images were selected by both a jury of photographers and by MMM curators. Photographers showing work include: Linda Alschuler, Cumberland; Barbara Atherton, West Bath; Peggy Becksvoort, New Gloucester; Bill Boyd, Topsham; Marty Grassie, Brunswick; Kathy Hodges, West Bath; Prisca Kenison, Brunswick; Martha Lentz, Brunswick; Christine Macchi, Dresden; Chris Reese, Orr’s Island; Jeff Smat, Brunswick; Rob Smith, Harpswell; Craig Snapp, Brunswick; and Kim Stone, Brunswick. Founded in 1990, First Light Camera Club programs include image critiques, field trips, tech nights, and one-on-one mentoring. Upcoming January events include a digital print critique judged by Kathleen Clemons on January 14, a lecture entitled “What Is Art?” with Robert Colburn, January 21; and a Tech Night on January 29. The group will also take a “field trip” on January 18 to hear guest speaker and photographer Andre Gallant present his work before the Portland Camera Club at 179 Woodford Street, Portland, starting at 7 p.m.
A second photography exhibition planned by First Light Camera Club will take place at the Topsham Public Library in June. To see a schedule of FLCC speakers and events, visit www.firstlightcc.com; email: info@...; or call 207-729-6607.